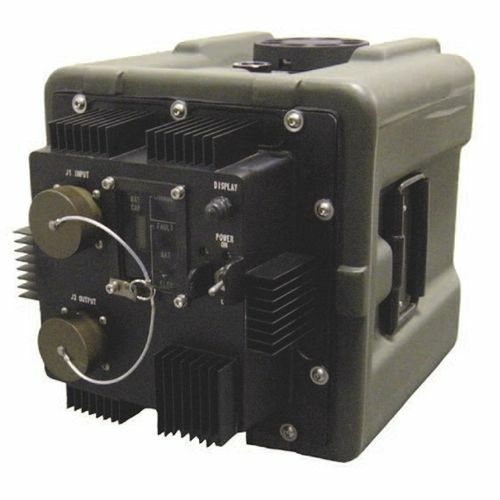 Based on the 28V LBB developed for the ITAS program, Saft has developed a high power version for use in a variety of military applications. The High Power LBB is a 28 V, 100 amp/hour battery comprised of high energy Li-ion cells arranged in a 8s2p configuration. It is designed as a portable energy storage solution providing back-up and exportable power. It includes human-to-machine interface, embedded management software and multiple safety features such as electronic protection and overload protecting circuit breaker to prevent against charger fault and abuse from operating conditions.